is a philosopher and writer. He is an honorary reader in philosophy at the University of Sheffield, a visiting research fellow with the Open University, UK, and an adjunct professor with the Brain and Mind Programme at the University of Crete. He lives in Greece. 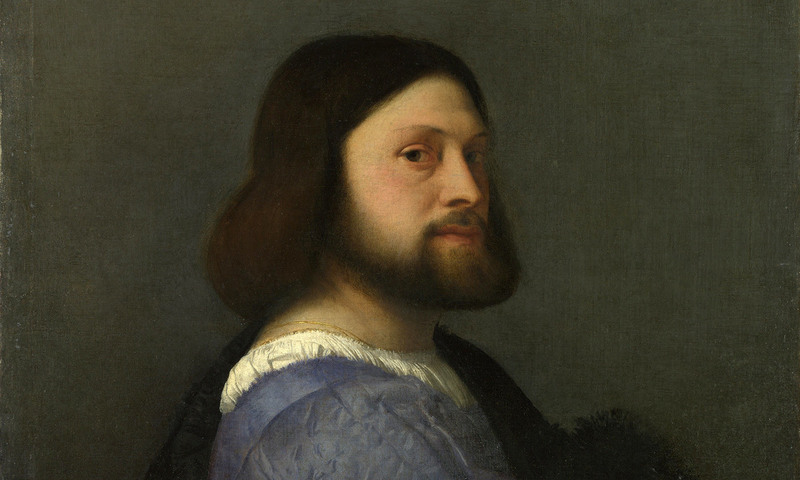 Portrait of a Man with a Quilted Sleeve, Titian, c1509. Courtesy Wikipedia/National Gallery, London. Most of us have views on politics, current events, religion, society, morality and sport, and we spend a lot of time expressing these views, whether in conversation or on social media. We argue for our positions, and get annoyed if they are challenged. Why do we do this? The obvious answer is that we believe the views we express (ie, we think they are true), and we want to get others to believe them too, because they are true. We want the truth to prevail. That’s how it seems. But do we really believe everything we say? Are you always trying to establish the truth when you argue, or might there be other motives at work? These questions might seem strange, offensive even. Am I suggesting that you are insincere or hypocritical in your views? No – at least I’m not suggesting that you are consciously so. But you might be unconsciously influenced by concerns other than truth. Nowadays, most psychologists agree that rapid, unconscious mental processes (sometimes called ‘System 1’ processes) play a huge role in guiding our behaviour. These processes are not thought of as Freudian ones, involving repressed memories and desires, but as ordinary, everyday judgments, motives and feelings that operate without conscious awareness, like a mental autopilot. It’s easy to think of motives that might prompt us to express a view we don’t really believe. We might want it to be true, and feel reassurance when we argue for it (think of the parents who insist that their missing child is still alive, despite the lack of evidence). We might associate it with people we admire, and assert it so as to be like them (think of how people are influenced by the views of celebrities). We might think that it will get us attention, and make us seem interesting (think of teenagers who adopt provocative views). We might profess it to fit in and gain social acceptance (think of a university student from a conservative background). Or we might feel that we have a duty to defend it because of our commitment to some creed or ideology (we sometimes call this attitude faith – belief in the religious sense). Such motives might also be reinforced by other factors. As a society, we tend to admire people who know their own minds and stick to their principles. So, once we have expressed a view, for whatever reason, we might feel (again, unconsciously) that we are now committed to it, and should stick with it as a matter of integrity. At the same time, we might develop an emotional attachment to the view, a bit like an attachment to a sports team. It is now our view, the one we have publicly endorsed, and we want it to win out over its rivals just because it is ours. In this way, we might come to have a strong personal commitment to a claim, even if we don’t really believe it. I am not suggesting that we are never guided by concerns for truth and knowledge (what philosophers call epistemic concerns), but I suspect that these sorts of emotional and social factors play a much larger role than we like to think. How else can we explain the vehemence with which people defend their views, and the hurt they feel when their views are challenged? Is it bad if we sometimes say things we don’t believe? It might seem not. The aims I’ve mentioned – seeking social acceptance, for example, or cultivating a self-image – are not necessarily bad ones, and since they are unconscious it is arguable that we shouldn’t be held responsible for them anyway. There are dangers, however. For in order to achieve these aims we must convince our audience that we genuinely believe what we say. If they thought we were saying something merely in order to create an impression on them, then we wouldn’t succeed in creating that impression. And when our aim is to make some impression on ourselves – like the parents who insist that their child is still alive – we must convince ourselves that we believe it too. As a consequence, we might need to back up our words with deeds, acting as if we believe what we say. If there were a glaring disparity between what we said and did, our insincerity would be obvious. In this way, unconscious desires for acceptance, approval and reassurance can lead us to make choices on the basis of claims for which we have no good evidence, with obvious risks of frustration and failure. Is there, then, any way of telling whether you really believe a claim? It might seem that conscious reflection would settle it. If you consciously entertain the claim, do you think it is true? Even this process might be unreliable, however. Many theorists hold that conscious thinking is simply talking to oneself in inner speech, in which case it can be guided by unconscious motives, just like outer speech. And, as I mentioned, unconscious desires can prompt us to deceive ourselves, telling ourselves that a claim is true even though we don’t really believe it. Despite this, a thought experiment might help us detect what we genuinely believe to be true. In real life, there might be few contexts where truth really is our dominant concern: maintaining a comforting view or upholding a cherished ideology or self-image might almost always be more important to us than truth. But suppose you were being questioned by the Truth Demon – a super-powerful being who knows the truth on every topic, and will punish you horribly if you give a wrong answer or fail to answer at all. If you continue to assert a claim when the Truth Demon asks you if it is true, then you do really believe it, really think it is true. But if you give a different answer when under threat of torture by the all-knowing demon, then you don’t really believe the claim. This gives us a practical test for belief: imagine the situation just described as vividly as you can, and see what you would say about any of your views. But do be careful not to give too much conscious thought to the matter in case you start telling yourself what you want to hear.